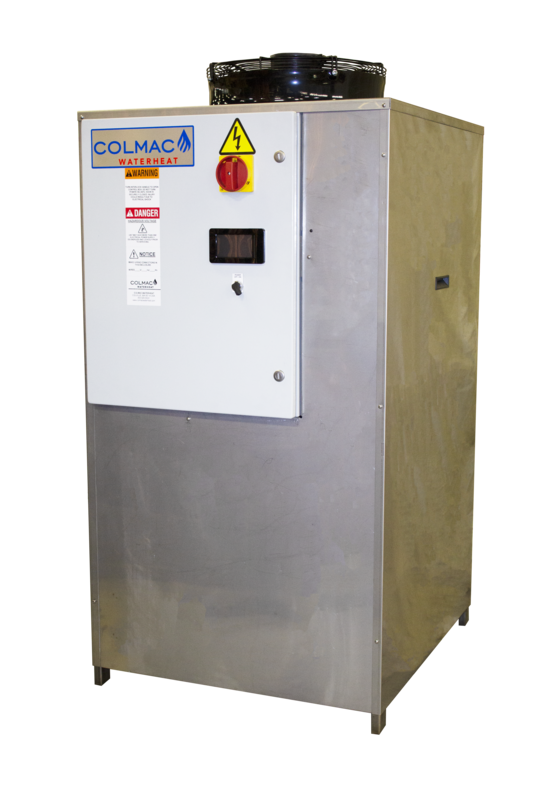 The CxA series is the next generation of air source heat pumps from Colmac WaterHeat. This represents a leap forward in controls and operation from the previous HPA design. 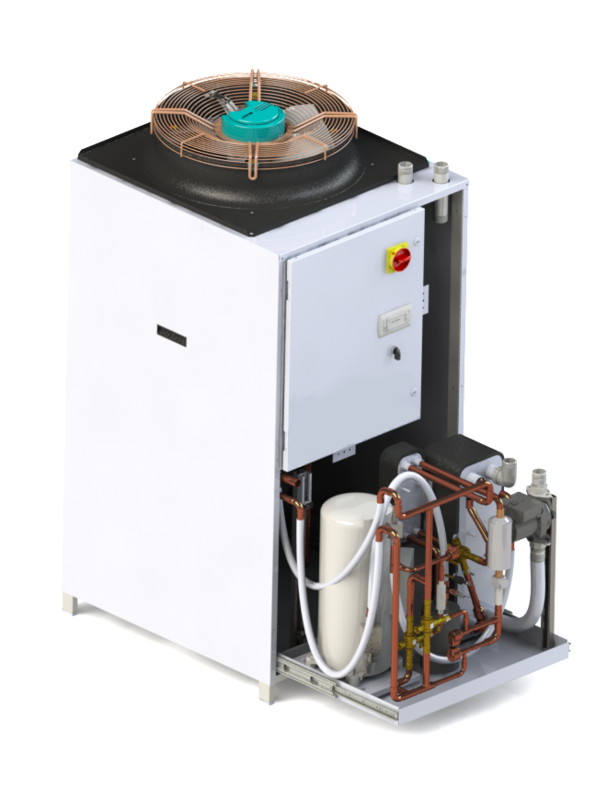 Models include compressors from 10 to 30 hp, with optional VFDs to provide turndown and soft-start capabilites. ECM propeller fans come standard, with optional ECM plenum fans that can accomodate up to 3" of external static pressure. Modifications to the refrigeration circuit allow the CxAs to operate with air temperatures 10°F lower than HPA units. CxA units are modular with a taller profile, reduced footprint design. CxA-10 & -15 models are designed to fit through a standard 36" door and inside most elevators for easier installation, particularly in retrofit applications. CxA units require no service clearance on the sides, allowing them to be placed next to each other in arrays of up to eight units. The units' slide-out drawers allow for in-place servicing of the refrigeration components. As with all Cx series units, individual unit controllers can interconnect via ethernet to perform their own staging, run time balancing and BMS communications. To improve COPs and improve hot water output, the CxA series has a completely redesigned defrost system. Hot gas defrost has been added to the evaporator, cutting defrost times to mere minutes and allowing the machines to continue to produce hot water while in defrost. New Intelligent Defrost controls monitor operating conditions so units only go into defrost mode when necessary.